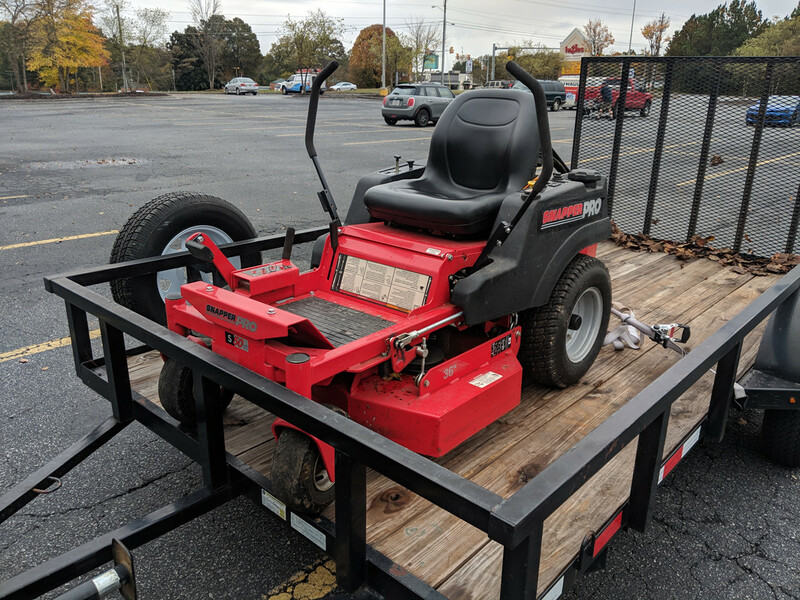 A lot of you have seen my new mower posts after moving to a larger yard. I reel mowed the old house and our yard is now too large. Tried a rider and a couple different walk behind 21" as well. Uneven cut, too much time, etc. 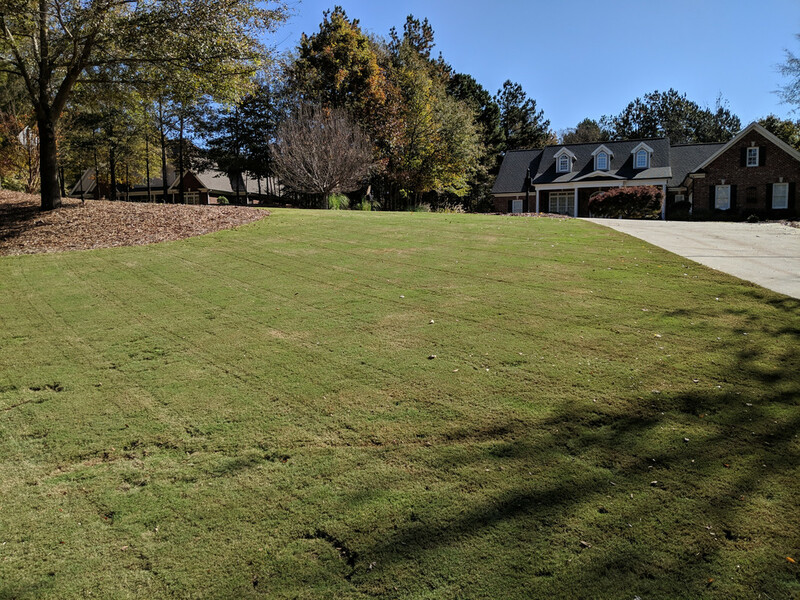 Trying to figure out the best of both worlds - nice cut but not having to be in the yard for several hours twice a week. I think I finally found it! Picked this up with 40 hours on the clock today for $1,600! I think I stole it! 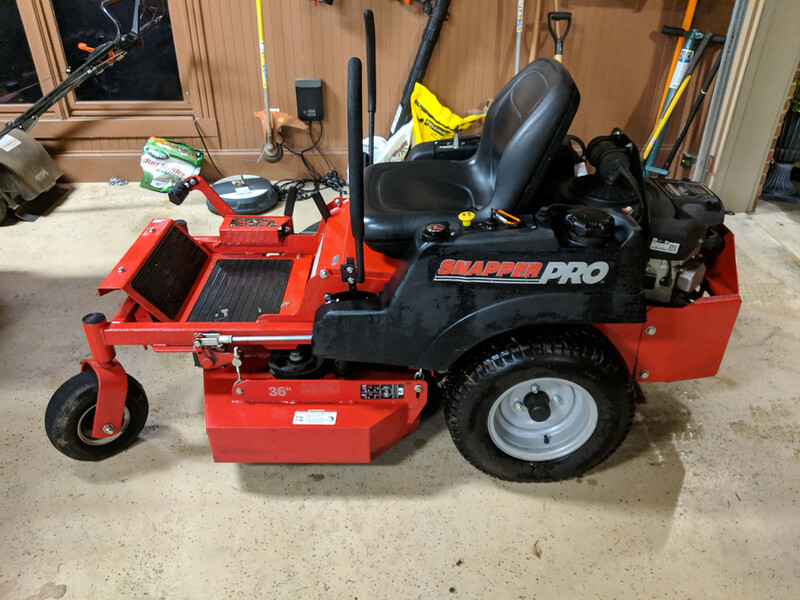 2015 Snapper Pro S50 XT with a 36" deck. These retail for around $5k! 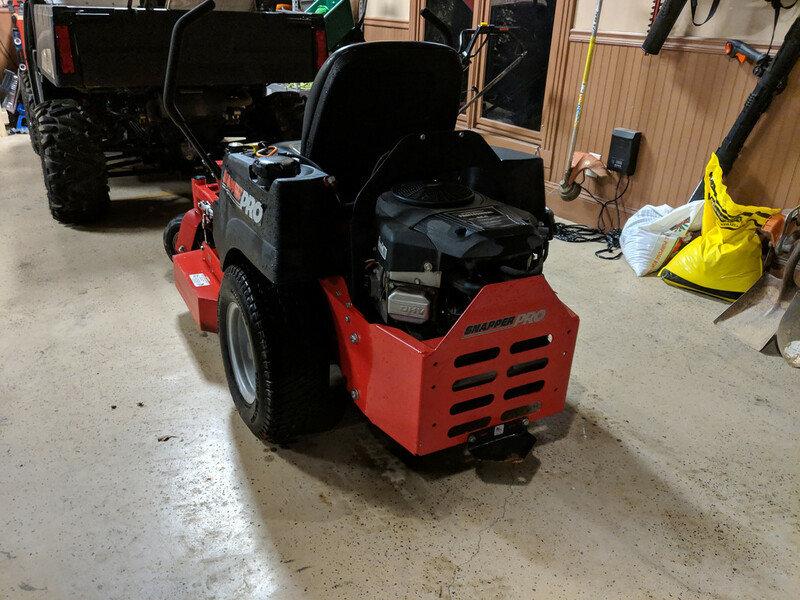 Gonna test it out tomorrow with some leaf removal! Last edited by Kustrud on Thu Nov 08, 2018 6:32 pm, edited 1 time in total. Thanks! I'm pumped! Will be the last mkw, doesn't need it but I can't not try it haha! I love the compact size. I'm going to go down from a 46" rider and man that fits the bill! Yeah you scored on this deal. What rider gave you an uneven cut? Well, more so probably just too large a deck (front yard has small slope) - 48" JD Garden Tractor. I cannot believe the maneuverability of this little zero turn. It's built like a small tank too! I think it'll be perfect! Nice! I bought a 33" ZTR (single blade) about 7 years ago, and have had a few hiccups with it, but the quality of the recent Snapper isn't what I remember growing up. I tend to edit because I forgot to put something in my post. This one is a whole different animal. It's their commercial line - the quality of the machine is unbelievable. Cuts so quick and even! Great blade speed! Couldn't be happier! Yard is basically dormant now, but could not wait to try it out. Last edited by Kustrud on Sat Nov 10, 2018 3:37 pm, edited 1 time in total. Looks very heavy duty! Great purchase. New equipment like that is so much fun. Best wishes to you with it.